From the Sonoma Skies collection, this polished Tacori necklace is spellbinding in its simplicity. A twisted link chain of sterling silver is embellished with a sky blue topaz gemstone that is set in a sterling silver basket with milgrain detailing on its backside. 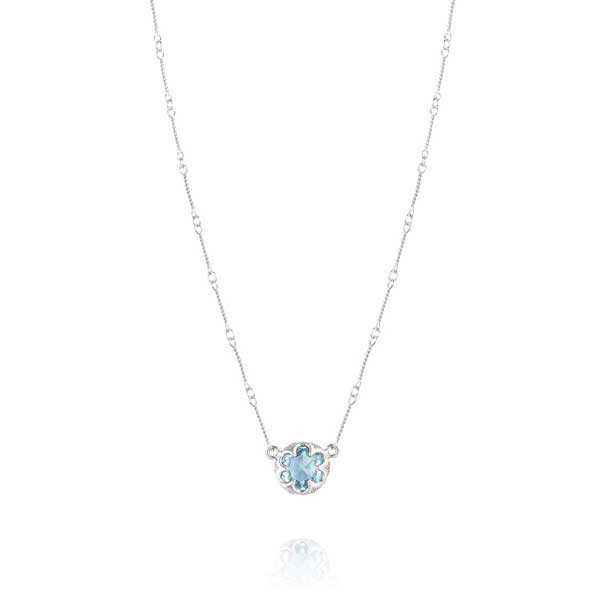 Like a fluffy cloud on a crystal clear day, this Tacori necklace will float fabulous style into your look.